Dr. Wendy Woodard grew up on a farm in Grand Ledge, Michigan, where she was surrounded by dogs, cats, rabbits, horses, chickens, and ducks. Her grandfather is a physician, so she was exposed to the medical field early on in life. For Dr. Woodard, a career as a veterinarian was the perfect combination of her love for science, her fascination with medicine, and her adoration of animals! After showing horses in the 4-H program and helping her biology teacher on his pig farm during high school, Dr. Woodard attended Michigan State University to receive both her undergraduate degree and her Doctorate of Veterinary Medicine. She graduated in 1993, then began practicing at a companion-animal and equine practice in Metamora. In 1996, Dr. Woodard moved to Frankenmuth and worked part-time in a companion-animal facility before joining the Mayfair Animal Hospital family in 2011. 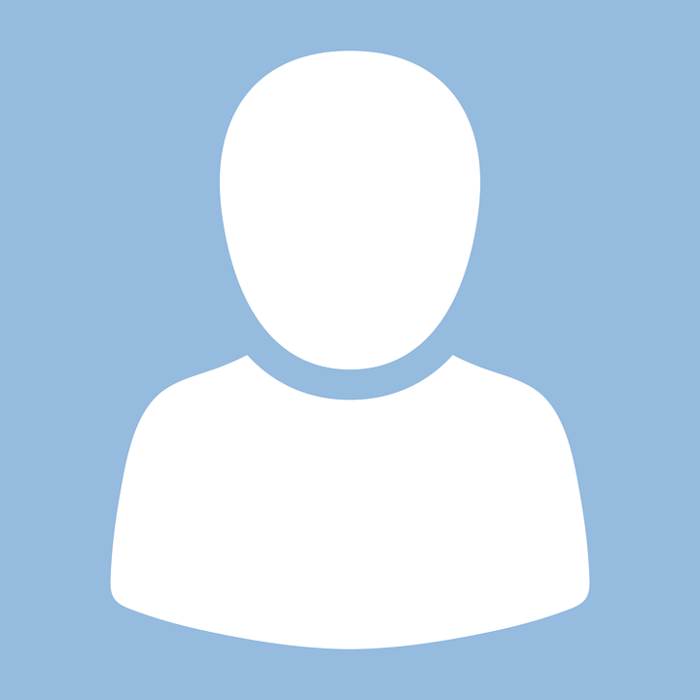 Dr. Woodard took over ownership duties of the clinic in 2015. She’s particularly fond of diagnostics, and never tires of putting together a patient’s puzzle pieces to arrive at a treatment plan and resolution. Dr. Woodard also likes the variety that her work brings; every day offers something new and exciting! In her time away from the clinic, Dr. Woodard enjoys gardening, golfing, biking, waterskiing, downhill skiing in Colorado with her family and friends, cheering on the Michigan State football team, and hiking around the area with her dogs. She has four canine companions: Maddie is a yellow Lab who thinks it’s her job to pull large rocks from the bottom of the lake; chocolate Lab Jake was rescued from Mayfair Animal Hospital in 2012; Meg is a high-energy Jack Russell terrier who has something to say about everything; and Sam is a mixed-breed pooch who comes to work with Dr. Woodard nearly every day. When Dr. Melissa Vermette was only five years old, she rode along with her mother to pick out the family dog. She recalls being chased by a herd of adorable puppies, and getting attacked with slobbery, loving kisses upon falling to the ground. On the way home—new puppy in tow—she asked her mother what kind of job she could have that would allow her to work with animals. Dr. Vermette has been hooked on veterinary medicine ever since that fateful day! Dr. Vermette was raised in Clio with her parents and two sisters. She attended Michigan State University to receive her Bachelor’s degree, then headed to Iowa State University to study veterinary medicine and earn her Doctorate. She was especially proud to have her very first peer-reviewed article published during her veterinary school career! 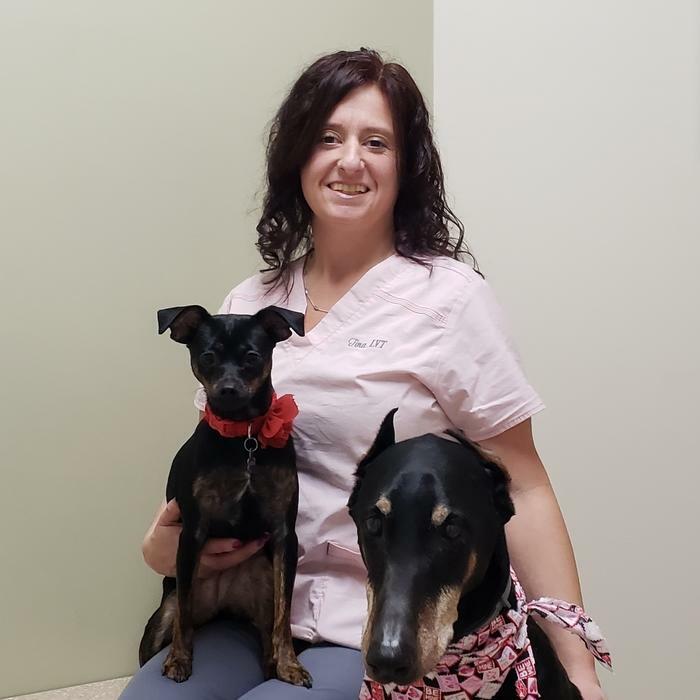 After practicing in California for a year, Dr. Vermette moved back to her home state and joined the Mayfair Animal Hospital family in early February of 2018 as an Associate Veterinarian. She brings with her special passions for internal medicine, neurology, and client education—Dr. Vermette loves to advise her clientele on the best possible ways to care for their beloved family members, and she also likes to witness the incredible bonds between pets and owners firsthand. When time permits away from work, Dr. Vermette enjoys camping, biking and playing sports, reading good books, watching movies, baking, crafting, singing, and spending quality time with her family. Alicia has had an interest in medicine for as long as she can remember, and even holds a certification in nursing. When she was offered a job at Mayfair Animal Hospital—where she had taken her own pets before she was an employee—she couldn’t turn down the opportunity! Now, Alicia impacts pets’ lives for the better every day as a Veterinary Assistant with the Mayfair Animal Hospital team. Alicia joined the hospital family in December of 2015 and has particular interests in performing blood draws and examining samples under the microscope. Most of all, she loves greeting the clientele and pets who visit the hospital and being a firsthand witness to the incredible bonds between humans and animals. In her time away from work, Alicia enjoys painting and drawing, spending time with her friends and boyfriend, and tending to the needs of her own pets at home. Her family lives with an American bulldog/pit bull mix; a rat terrier mix; an elderly cat who is the true queen of the house; and a calico cat who enjoys sitting on paper to claim it as her own. Upon graduating high school, Amanda received one of the best presents she’s ever gotten: a spunky pit bull puppy. Caring for her new pet made one thing very clear to Amanda: for her, a career in the world of animal medicine was simply the perfect choice. She hasn’t looked back since, and is now a Team Leader and Licensed Veterinary Technician here at Mayfair Animal Hospital! Amanda is originally from Otisville, Michigan, and enrolled in the veterinary technology program at Baker College of Flint in 2002. She first joined the clinic team in 2003 and explored other opportunities briefly (including working with goats, alpacas, kangaroos, and even a three-toed sloth!) before returning to where she felt most comfortable: Mayfair Animal Hospital. At home, Amanda lives with her husband, their son Wyatt, and a menagerie of pets. The family has four cats—Star, Decon, Mickie, and Minnie—as well as three rescued pit bull terriers who go by Sadie, Diesel, and Doodle. The newest addition to the fur-family is Betty Big Ears, a loveable bloodhound puppy. When time permits between work and family life, Amanda enjoys mud-bogging with her husband in their truck. She never tires of the thrill and adrenaline the sport brings; some of her dogs have even enjoyed a ride or two! 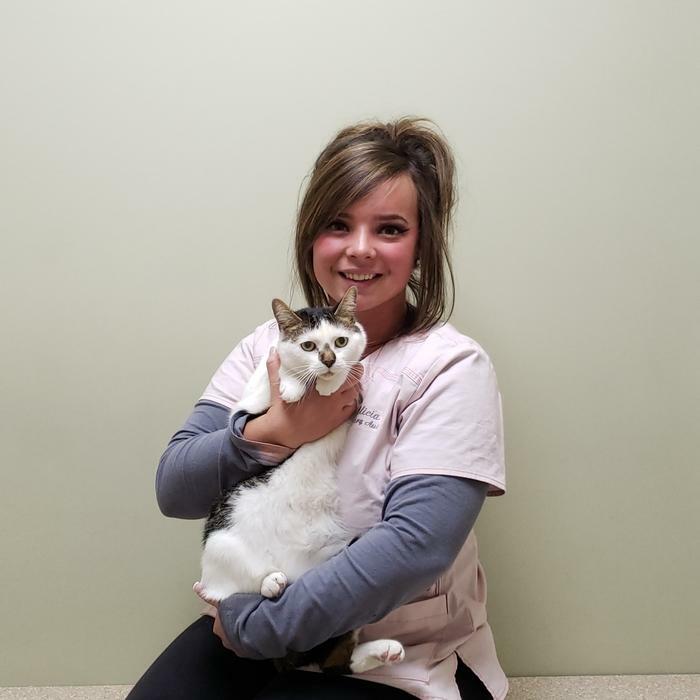 As a child growing up in Saginaw, Michigan, Jourdan always promised anyone who would listen that she would one day work in the veterinary profession. She’s been passionate about animal care ever since she can remember! 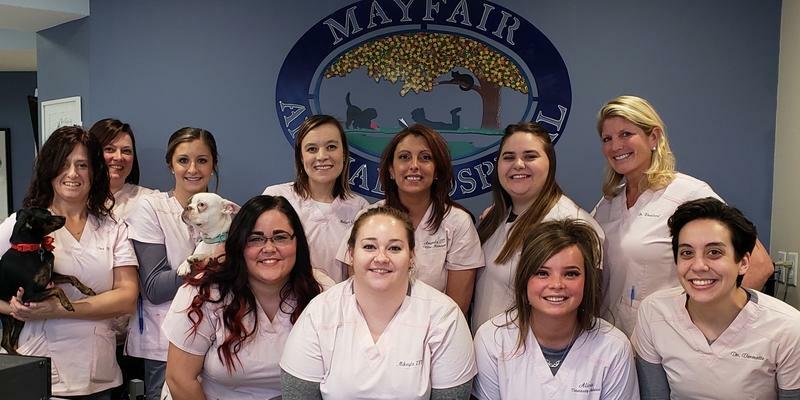 Jourdan is proud to help the pets and families of Flint as a member of the Mayfair Animal Hospital team. Jourdan completed her Veterinary Technician program in August of 2017 and now has the title of Licensed Veterinary Technician! 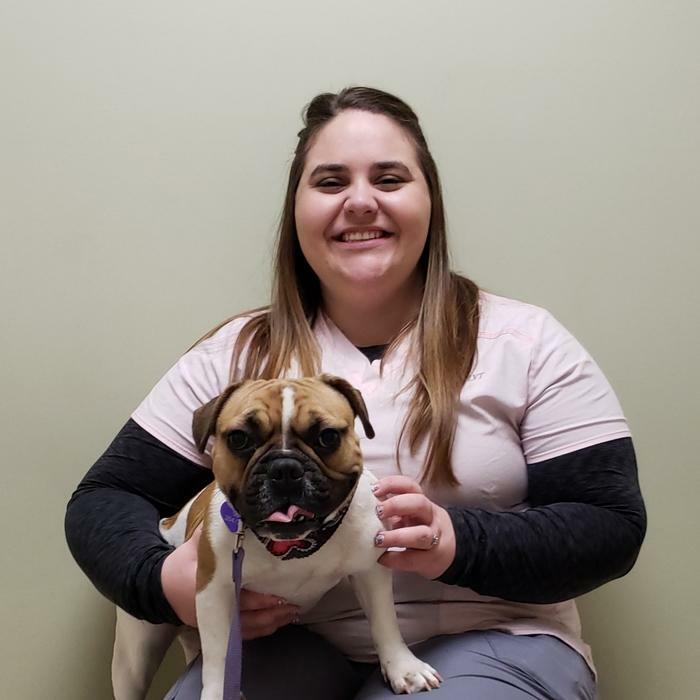 Jourdan joined the Mayfair Animal Hospital family in May of 2016 to supplement her studies with hands-on experience in the field and has been serving the area’s pets and animal owners here ever since. She’s found that she is particularly fond of helping to monitor pets during surgical procedures. At home, Jourdan and her husband live with their wonderful daughter, Trystyn, as well as several lovable pets. The family shares their lives with three spunky dogs—Harley, Elliott, and Jack—as well as a trio of cats, named Oliver, Stella, and Noel. Growing up in Rockford, Illinois, Tina was surrounded by animals from day one—her mother was constantly taking in stray pets or wildlife that needed help. Tina has felt an intrinsic connection with animals for as long as she can remember! Now, she’s proud to serve pets and their owners daily as a Licensed Veterinary Technician. After working several years in sales and finance, Tina moved to Michigan in 2002 and decided it was time to pursue her lifelong passion: animals. She signed up at a local college to study veterinary technology and started working in clinics as a Licensed Technician after graduation. 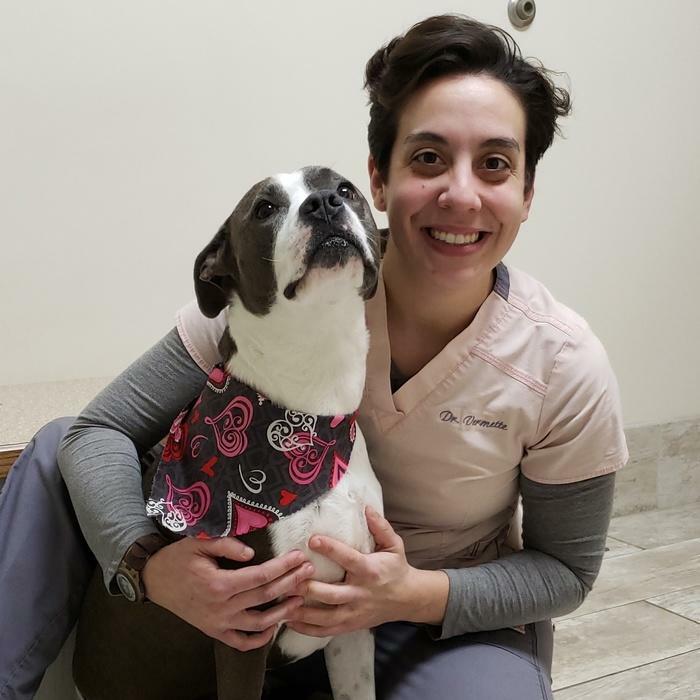 In late 2015, Tina joined the team here at Mayfair Animal Hospital, where she particularly enjoys educating pet owners on preventative healthcare and enjoying the company of adorable puppies and kittens. When she has time between work and her Master’s degree studies, Tina likes reading, traveling, and spending time with her daughter, Madeline. The family shares their home with Jessie, a mixed-breed dog; a Doberman named Trigger; and three cats named Minnie, Leo, and Whisper. Angelina has always had a passion for helping others—she previously worked in the dental health care field. It didn’t take long, though, for her to realize that something was missing. When she decided to make a change and transition into veterinary medicine, Angelina knew that she had found her true calling! Now, she’s happy to help pets and their owners as one of Mayfair Animal Hospital’s front-desk receptionists. A native of Flint, Angelina first came to the clinic after answering an online advertisement. 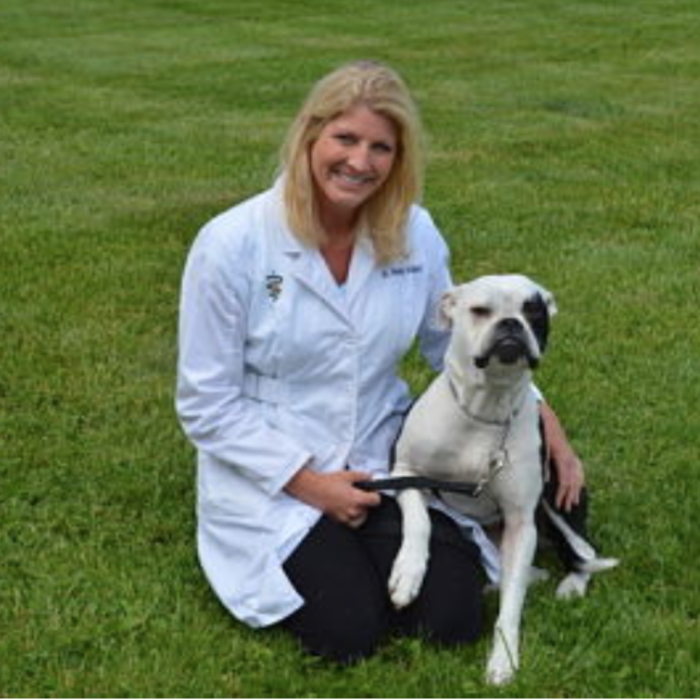 She continues to learn something new on a daily basis and loves using her expertise to improve the lives of the area’s animal owners and pets in whatever way she can. Angelina now lives in Mount Morris with two pets of her own. She shares her home with Fat Boy, an English bulldog who is simultaneously very lazy and smart as a whip; and Rex, an energetic Basset hound. Lauren has been around veterinary medicine for her entire life—Dr. Wendy Woodard is her mother! For Lauren, it wasn’t difficult to develop a passion for animal care early on. Now, she’s excited to jumpstart her pet-care journey as a Veterinary Assistant with the Mayfair Animal Hospital family. Lauren is a Frankenmuth native and interned at a veterinary clinic there before joining the Mayfair Animal Hospital team in May of 2017. She loves to learn something new every single day, and her favorite part of the work is getting to see happy dogs and cats after successful treatments. In her free time, Lauren enjoys traveling and exploring northern Michigan when she gets the chance. At home, she has two animal companions of her own: Sam, an American bulldog who loves chasing his toys and going on long walks; and a black cat named Bella whose favorite pastimes include sleeping and birdwatching. Kari is a pet owner herself, and she knows firsthand the joy, companionship, and love that animal companions bring to the families of the area. For her, being able to nurture and strengthen those bonds for others is a dream come true! Kari is a proud member of the Mayfair Animal Hospital reception team. 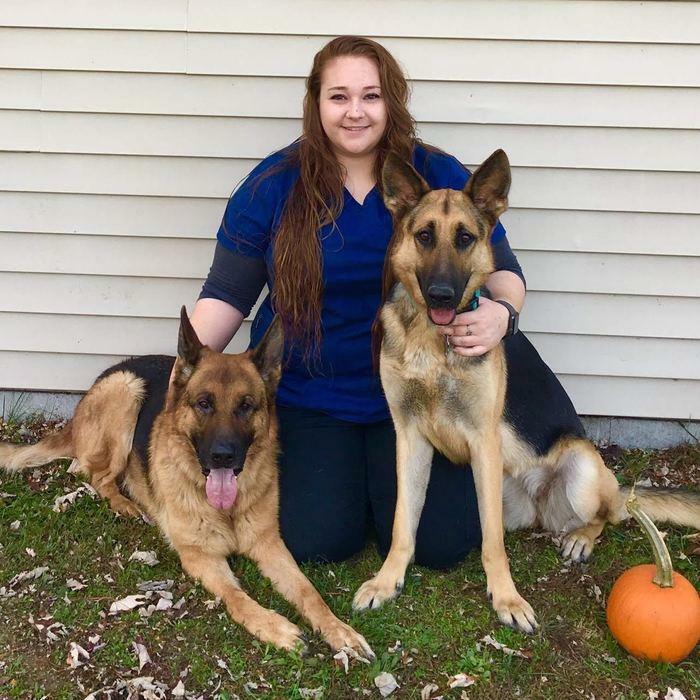 A Clio native, Kari recently embarked on the search for a new career path that provided fulfillment and fun—veterinary medicine was the perfect fit! She couldn’t be happier to launch her journey in animal care right here at Mayfair Animal Hospital. Her favorite parts of the job are getting to work around an amazing group of pet-lovers just like herself and seeing firsthand the energy and zest for life that the clinic’s clients and patients offer every day. Kari’s interests outside of the office include camping and kayaking in the great outdoors, crafting, welding and working on home-improvement projects, and spending quality time with her family at home. She and her husband of 24 years have two wonderful daughters, and they share their home with a pair of dogs and three loveable cats. Kierra was only a few years old when her family brought home a puppy, Scooby. Having grown up with Scooby by her side and taken care of him for many years, Kierra had a realization: she would love to help others’ pets on a daily basis by working in the veterinary field! Now, she’s thrilled to do her part to better the lives of pets as a member of Mayfair Animal Hospital’s talented care team. 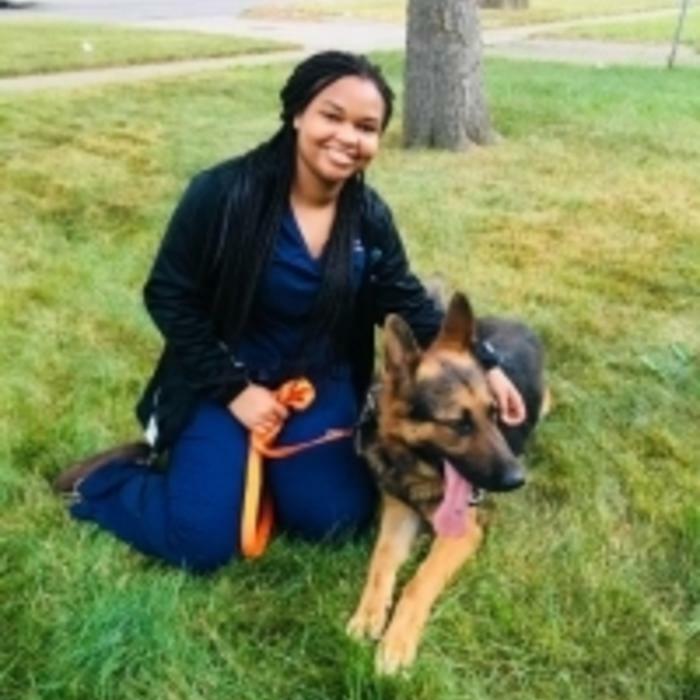 Kierra is a Flint native and was only a junior in high school when she signed up for the veterinary medicine program at the Genesee Career Institute. 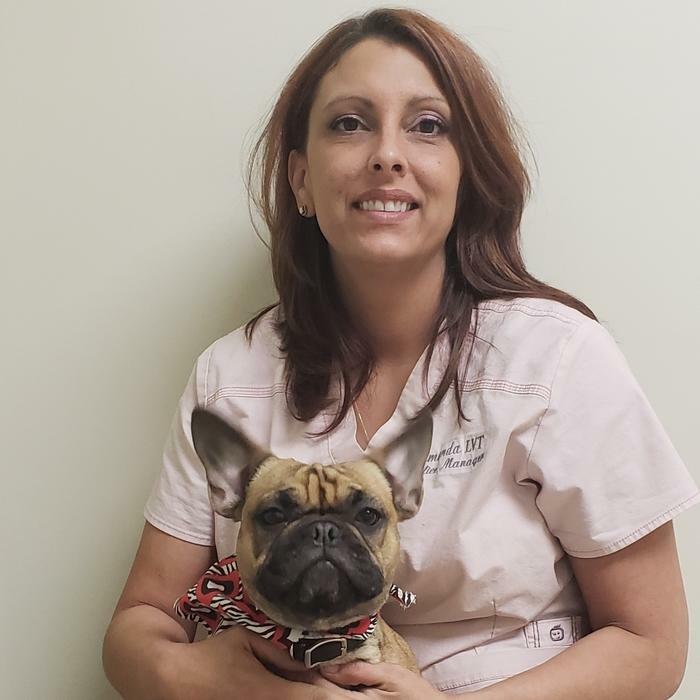 The following year, she continued on to the second half of the course and completed a 12-week internship right here at Mayfair Animal Hospital. After Kierra’s internship requirements were completed, she was happy to accept a job at the hospital in March of 2018. She’s been caring for the clinic’s boarding pets ever since! Away from work, Kierra can be found listening to music, staying active, spending time with friends and family, and enjoying the company of her dog, Rocky. MiKayla grew up on a small farm in Midland, Michigan, where her family kept everything from dogs, cats, and rabbits to horses, goats, chickens, and pigs. Helping animals to live happier, healthier lives has been a part of MiKayla’s nature ever since her earliest days, and she simply can’t imagine doing anything else! She’s now a proud member of Mayfair Animal Hospital’s Veterinary Technician team. 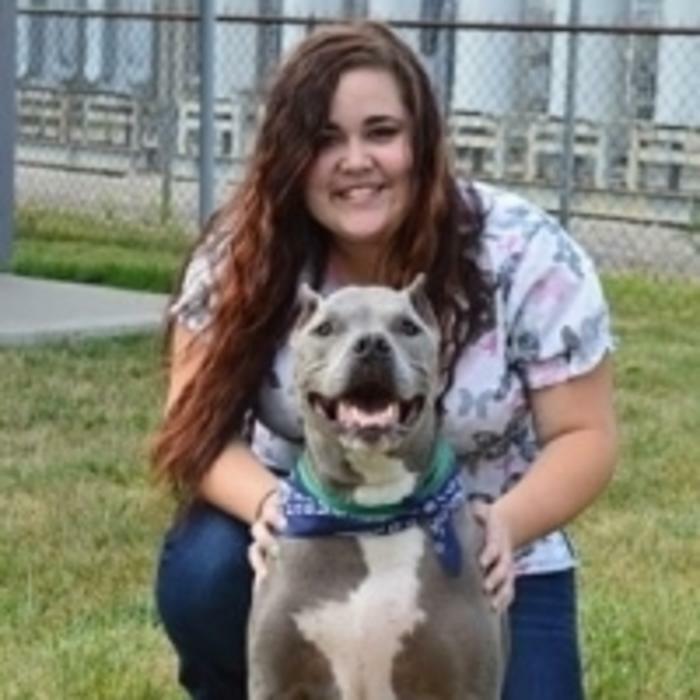 MiKayla attended Baker College of Flint as a member of the Veterinary Technology program. 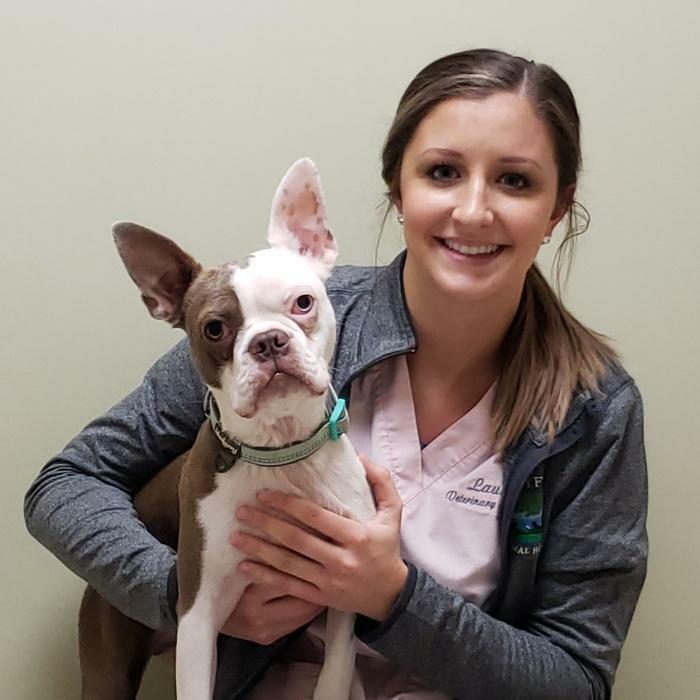 When she needed to complete internship hours to supplement her coursework, she found herself here at Mayfair Animal Hospital—MiKayla has been a member of the clinic team ever since! Her favorite part of her job is getting to help pets daily alongside a team of talented and dedicated animal-lovers just like herself. In her free time, MiKayla loves to read, go off-roading, and enjoy the company of her family and pets at home. She and her fiancé, Keith, live in Mount Morris with their three beloved dogs: Diesel, Ranger, and Rebel.